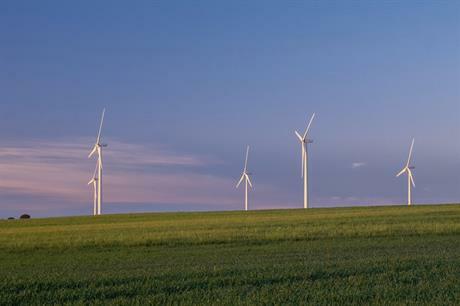 SPAIN: Higher onshore wind production drove an increase in the revenue of Iberdrola's renewables segment in the first half of the year. The Spanish energy giant recorded €2.05 billion in revenue for the first six months of the year — up 22.5% on the same period a year ago. Its earnings before interest, tax, depreciation and amortisation (Ebitda) also increased to €1.18 billion — a 25.5% increase on the first six months of 2017. Iberdrola stated its renewables unit "improved its results thanks to a rise in onshore wind production in all countries, with a higher average installed capacity and greater wind resource". The company’s 15,541MW of onshore wind capacity at the end of June 2018 was just 4.3% more than a year earlier. But higher wind resources and a greater load factor meant production increased 12.4% to 19,991GWh. Iberdrola said onshore wind load factor grew to 29.7% in the period. Meanwhile, its offshore capacity and production also increased with the gradual commissioning of the 350MW Wikinger project in Germany during the first quarter of 2018. Iberdrola invested €876.3 million in its renewables division in the first half of the year — more than a third (36%) of total spending — including €336 million in the 714MW East Anglia One project off England’s east coast. It issued a €750 million public green bond scheme that will be used to finance or refinance East Anglia One as well. Iberdrola also secured a $400 million (€342 million) loan to finance Mexican wind farms, and $213 million in tax equity to finance the 298MW El Cabo project co-owned by its North American subsidiary Avangrid in New Mexico, US. The company entered three projects into the most recent German offshore wind auction in April. It was awarded 476MW for its Baltic Eagle project and 10MW for its Wikinger Süd site, but unsuccessful in securing capacity for its 252MW Windanker wind farm. And it was given the green-light for its 496MW Saint-Brieuc project off the French coast, when the government agreed a new, reduced tariff, effectively saving it from cancellation. Iberdrola’s clean energy subsidiary in North America Avangrid Renewables’ net income rose 21% in the first half of the year, from $100 million to $121 million. Its net income increased 129% quarter-on-quarter, reaching $71 million in the second quarter of 2018. These increases came despite "lower than normal" wind generation, according to CEO James Torgerson. Avangrid’s onshore wind production in the US increased 12% year-on-year to 9,174GWh for the first six months of 2018. The company had increased its installed wind capacity to 6,143MW, up 7.3% year-on-year, in the first half of 2018. Its 298MW El Cabo, 208MW Desert Wind and 131MW Tule wind farms were among those entering operations between January and July. Meanwhile, the 800MW Vineyard Wind project, which Avangrid co-owns with Copenhagen Infrastructure Partners (CIP), secured capacity in Masschusetts’ first offshore wind tender. Overall, the Iberdrola group’s revenue rose to €17.5 billion in the first half of the year — up 17.5% from the previous year — while Ebitda increased 17.1% year-on-year to €4.4 billion.